YoYoExpert Blog & Yo-Yo News – Premium Gold & Silver Plated Center Trac Bearings! 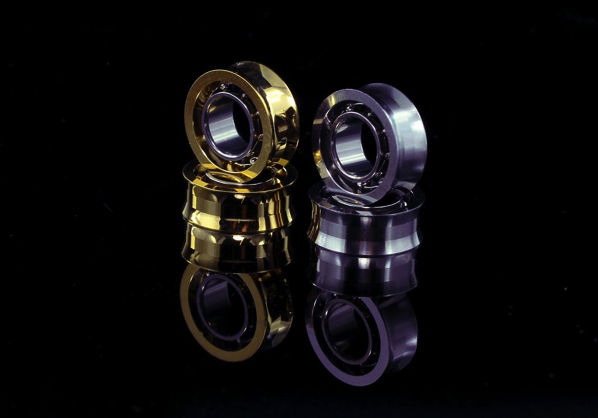 Premium Gold & Silver Plated Center Trac Bearings! YoYoFactory collaborated with precision bearing manufacturer NSK Micro to take their Center Trac design to the next level! These bearings are manufactured to the highest tolerances with extremely strict quality control. They provide you with a quieter and smoother yo-yo experience and require less maintenance than standard bearings. PREMIUM CENTER TRAC BEARINGS AVAILABLE HERE!